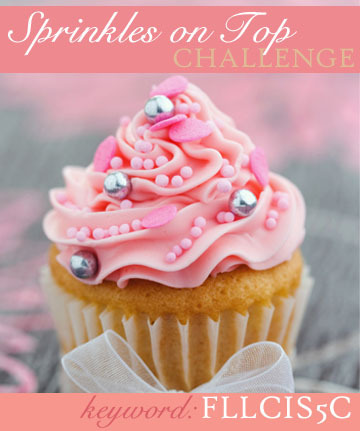 Ink'd Wings: 6PM "Sprinkles on Top Challenge"
Welcome back to the 2*4*6*8 "Help Flourishes Celebrate Challenges". The challenge for 6PM is about adding sprinkles onto your card or creation — Glitter? Beads? Flower Soft? You choose! Just sprinkle on some fun! 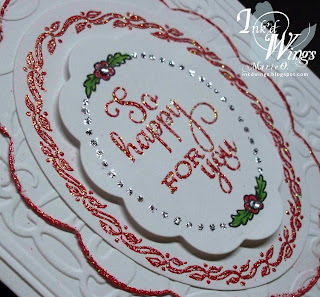 I chose to use some red glittery embossing powder and Stickles for my "sprinkles on top". Cuttlebug embossing folders were used to add texture. SB supplied the lovely shapes and the stamps are from the Flowers and Frames set which can be seen HERE. I won this set beautiful set from a previous challenge. Thank you Flourishes for the opportunity to win some of these gorgeous stamp sets! This is a close up showing some the lovely sparkle from the embossing powder and the stickles. The flowers were colored with Copic markers. Be sure scroll cown to check out what's coming in the 8PM challenge...you don't want to miss it! Oooo the sparkly pops of red against your white background are beautiful!! Beautiful! I love all the sparkle along the edges- makes all the layers stand out so wonderfully! Another stunning card! 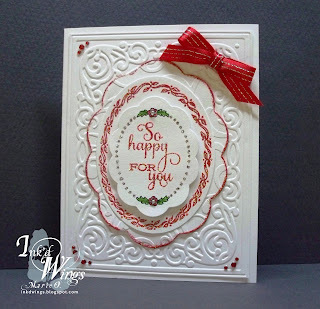 Great use of embossing powder and stickles! Lovely embossed background, too! This is beautiful!! I love the embossing!!! You would have to post the photo of that cupcake, wouldn't you? I want one!!! YUM! Your card is yummy, too! Love all the sparkle--especially the red along the scalloped die cut edge. Very elegant indeed! The red and white is perfect and great layers. Thanks for playing in Flourishes 2,4,6,8 Birthday Celebration. This is really striking with the hint of red...I love the subtle sparkle too! Love the touches of sparkle embossing! How pretty! Such a lovely card...almost feels like a yummy candy cane :) Thanks so much for playing along with us at Flourishes!